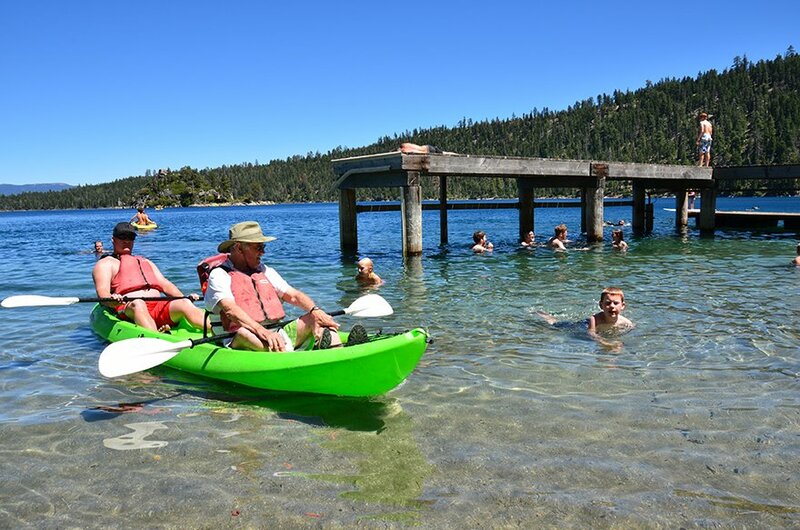 Spend the day relaxing at Emerald Bay Beach – a National Natural Landmark with 360 degree views that encompass Emerald Bay, Fannette Island, Eagle Falls and Vikingsholm Castle. 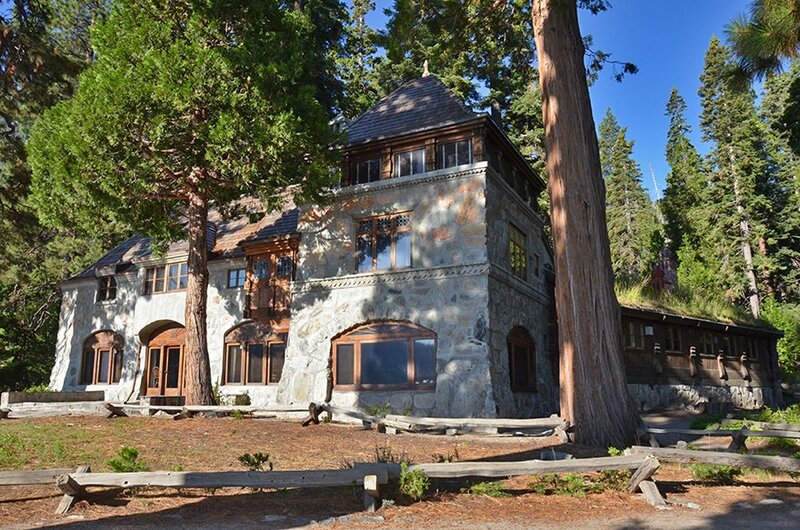 This dramatic bay setting has been called one of the “most photographed places on earth.” You can cruise into Emerald Bay aboard a watercraft, or enjoy the pleasant, but moderate Vickingsholm hiking trail which is a one-mile hike (with about a 450-foot elevation change) that leads to the beach and Vikingsholm Castle. 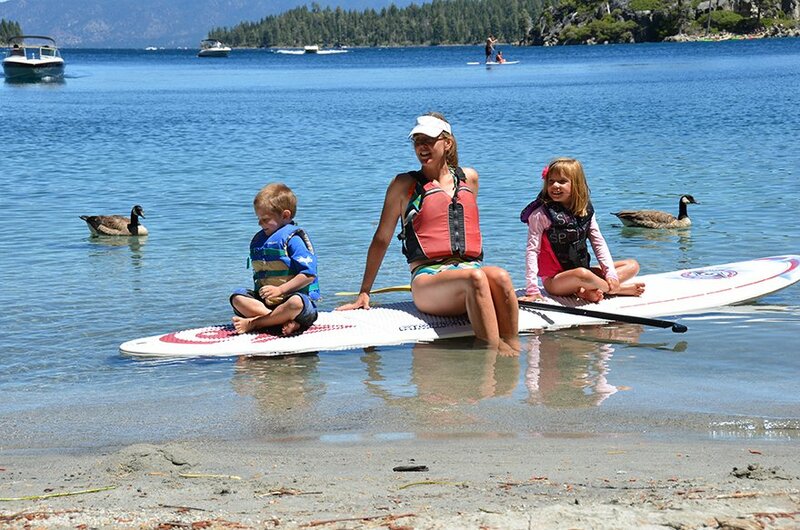 Swimmers can jump off the pier or head to the south side of Eagle Creek where there is a large shallow area, sandy beach and roped in swimming area. 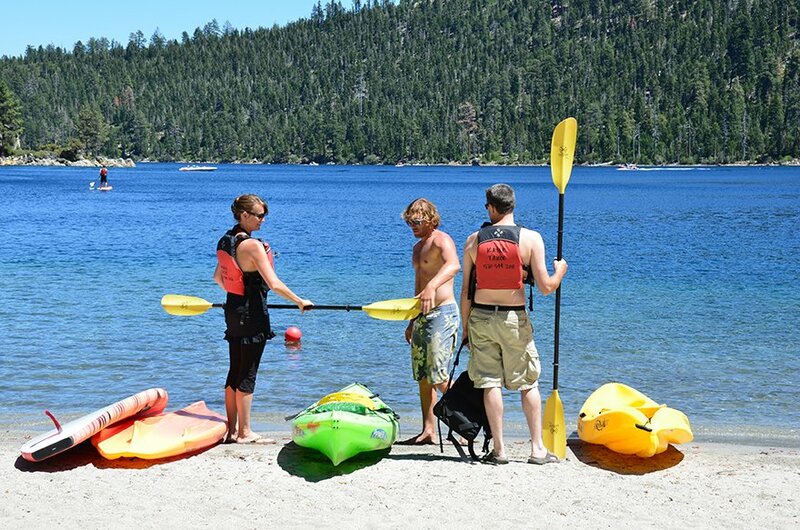 Explore Emerald Bay up close by kayak, canoe, jet skis or boat. Hike around Fannette Island where the Tea House was built by Ms. Lora Knight in the 1920’s and where she enjoyed her tea with quite a view! 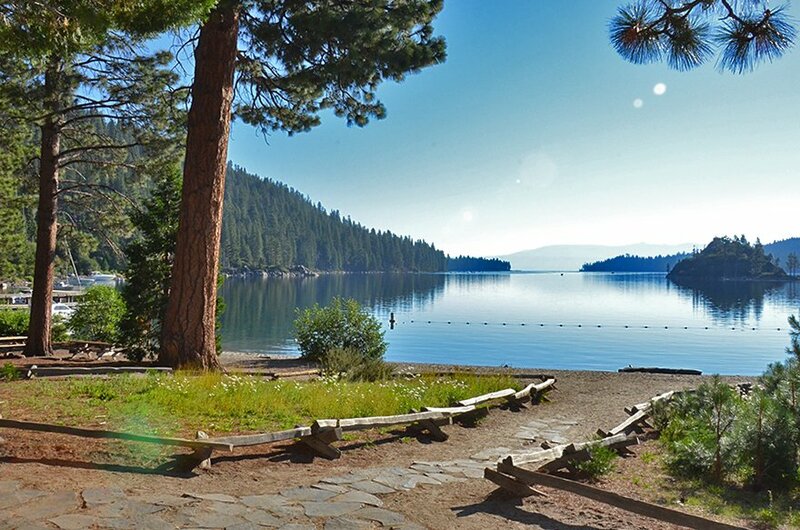 It takes a bit of effort to get to this beautiful South Lake Tahoe beach, but it’s worth it for the views alone. 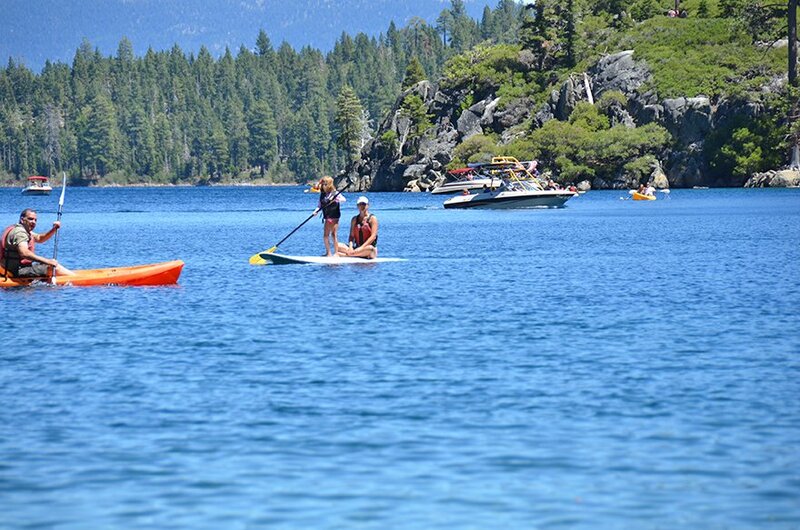 Emerald Bay was designated an Underwater State Park in 1994. 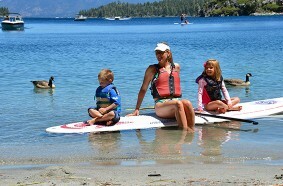 Scuba divers can explore the many boats, launches, and barges that rest under the crystal clear water. 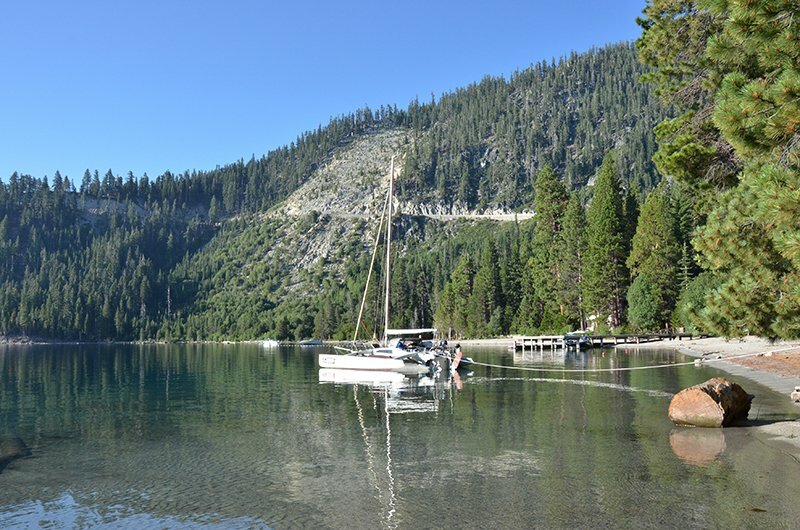 In the summer, visitors love to tour Vikingsholm Castle and camp at Eagle Point Campground or pack their equipment across the water to the lakeside Boat Camp, located on the north side of the bay. Both campgrounds provide metal bear-resistant food lockers. 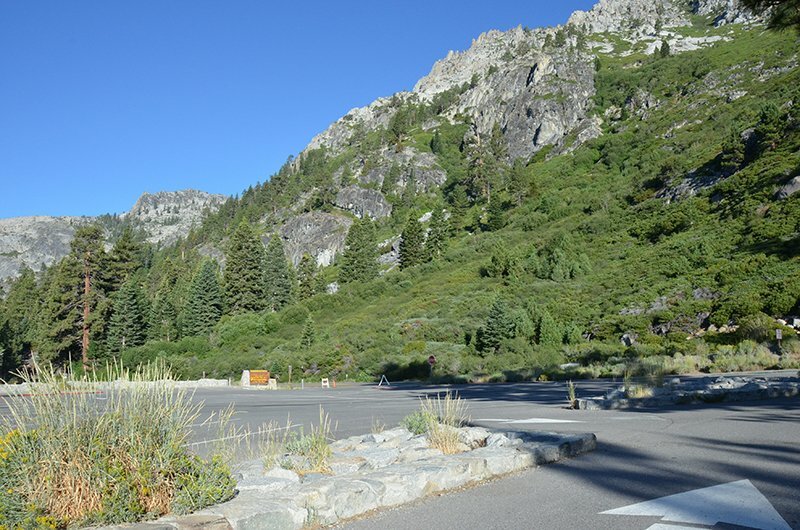 You can also expect restrooms, a picnic area, trails, and nearby campsites available on a limited basis. 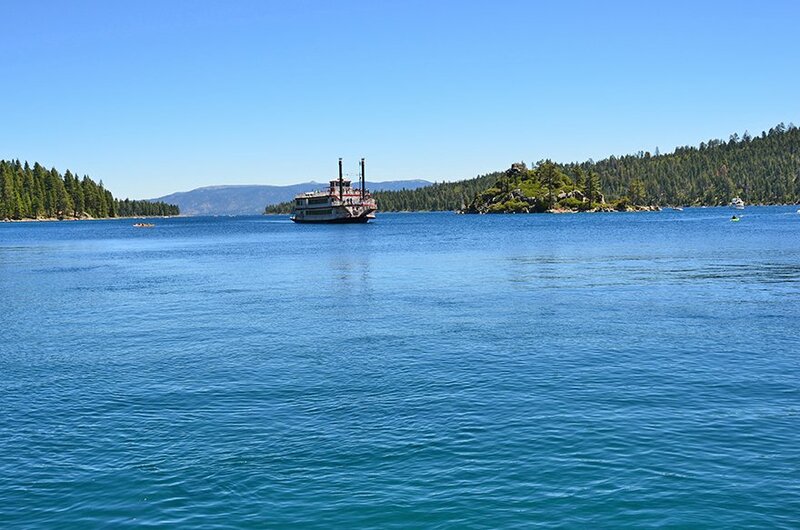 Emerald Bay is located 22 miles south of Tahoe City and Meeks Bay on Highway 89. 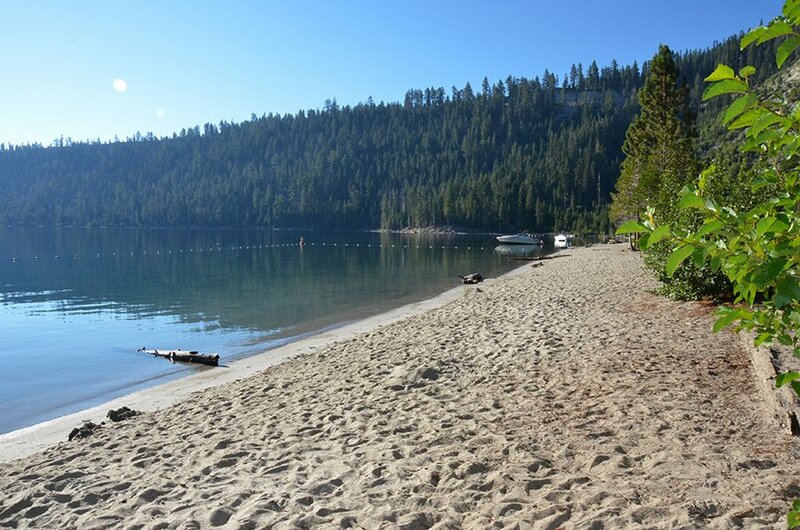 If making the trec to Emerald Bay Beach is a little too much then consider these other nearby Lake Tahoe beaches on Tahoe’s west shore.